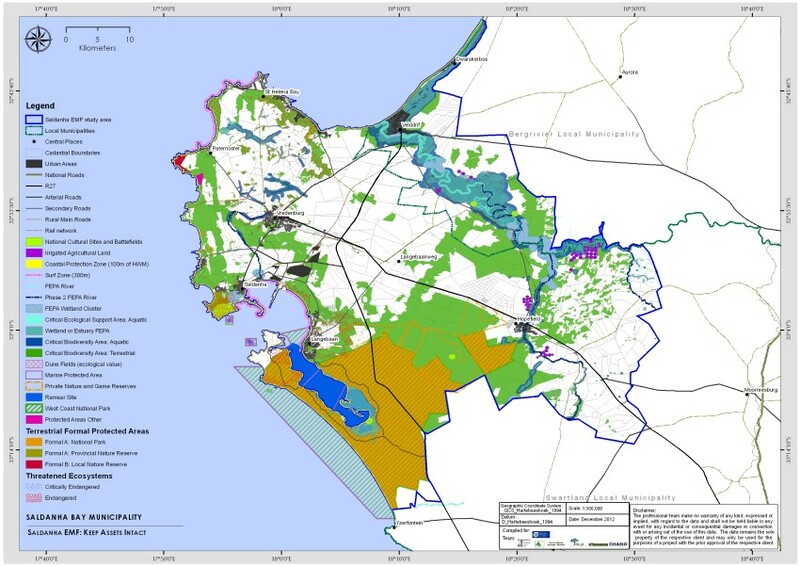 MCA worked alongside a team of esteemed environmentalists and other consultants in putting together an integrated Environmental Management Framework (EMF) for the greater Saldanha Bay area. The EMF aims, amongst others, to provide guidance on decision-making criteria for development proposals and initiatives, provide a framework to maintain and support sustainable development practices and to set out guidelines and criteria for implementation, monitoring, evaluation and review of the EMF. MCA has been responsible for compiling the Status Quo report and for all GIS support and map production.